LSE Cities studies how people and cities interact in a rapidly urbanising world, focusing on how the design of cities impacts on society, culture and the environment. Through research, conferences, teaching and projects, the centre aims to shape new thinking and practice on how to make cities fairer and more sustainable for the next generation of urban dwellers, who will make up some 70 per cent of the global population by 2050. Research Analysing how the physical form and design of cities impacts society, culture and the environment. Education MSc and PhD degrees for graduates and executive MSc and short courses for urban professionals. Outreach Participate in our public events, research seminars and conferences. Urban Age Explore 12 years of data and research from this worldwide investigation into the future of cities. Publications Read our reports and conference newspapers and browse our books and journal articles. Listen Podcasts and videos to many of our public events. LSE Cities is an international centre at the London School of Economics and Political Science that carries out research, graduate and executive education and outreach activities in London and abroad. Extending LSE’s century-old commitment to the understanding of urban society, LSE Cities investigates how complex urban systems are responding to the pressures of growth, change and globalisation, with new infrastructures of design and governance that both complement and threaten social and environmental equity. It is one of a small number of research centres that contribute to LSE’s reputation as one of the foremost social science universities in the world. LSE Cities studies how people and cities interact in a rapidly urbanising world, focusing on how the design of cities impacts on society, culture and the environment. With the support of the Alfred Herrhausen Gesellschaft, the centre builds on the interdisciplinary work of the Urban Age Programme, an international investigation of cities around the world. LSE Cities hosts a wide range of international conferences, public lecture series, seminars and awards that span the core of our research goals, and works to consolidate a growing network of urban experts. LSE Cities’ research is divided into three research units. These are focused on improving the theoretical and interdisciplinary knowledge base on urban development and advancing research in key knowledge areas by engaging with education in city governance, management, planning and design. The Cities Programme is an innovative programme for graduate teaching and research on urban issues. The programme’s distinctive focus is on the relationship between the physical and social development of cities. The MSc City Design and Social Science is based on interdisciplinary teamwork in research-based studios led by urban academics and practitioners. 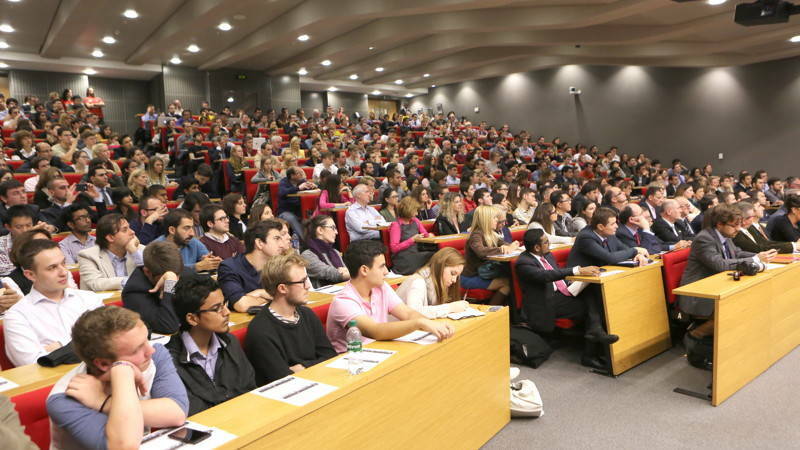 It draws directly from the exceptional range of expertise within and associated with LSE Cities. The MPhil/PhD Cities doctoral research programme offers an excellent environment for innovative and interdisciplinary graduate research on cities, space, and urbanism. LSE Cities offers an Executive MSc in Cities designed for public, private and third sector leaders who want to deliver large scale change in cities and taught in five one-week blocks over 18 months. An intensive week-long summer course on London and Global Cities is available for mid and late career professionals in the public and private sectors, and tailored executive programmes for organisations such as municipalities and private firms. The Urban Age Programme, jointly organised with the Alfred Herrhausen Gesellschaft, is an international investigation of the spatial and social dynamics of cities centred on regular conferences, research initiative and publications. Since 2005, over 16 conferences have been held in rapidly urbanising regions in Africa and Asia, as well as in mature urban regions in the Americas and Europe. As an event, the Urban Age catalyses the exchange of information, experiences and data across a global network of cities. Since 2005 Urban Age has studied the social and spatial dynamics of metropolitan areas such as Delhi, Rio de Janeiro, London, Hong Kong, Istanbul, São Paulo, Mumbai, Johannesburg, and New York City. At recent conferences, national leaders such as the UK’s Prime Minister David Cameron, German Chancellor Angela Merkel and President of Mexico Vicente Fox have joined the mayors of London, Berlin, Mexico City, New Delhi, Chicago, Washington DC, Bogotá and São Paulo, and internationally renowned academics, architects and activists, to debate a wide range of urban issues.